Darkened, enlarged veins in the legs are more than just a cosmetic problem. Often, they are a symptom of an underlying medical condition and a cause of pain. 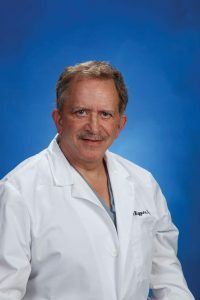 “If you have tired, achy legs, swelling that slows you down, or unsightly veins on your legs, you might have a problem with varicose veins,” says John C. Wiggans, MD, FACS, vascular and thoracic surgeon at Saint Francis Medical Center’s Vein and Laser Center. These bulging, twisted veins start to surface when the valves in the veins can no longer effectively pump blood toward the heart, and blood begins to pool in the veins. The Vein and Laser Center offers a minimally invasive outpatient procedure to eliminate varicose veins using the revolutionary CoolTouch CTEV™ laser. Learn more at our free seminar at Isle Casino Cape Girardeau, 777 N. Main St., on Wednesday, June 26 at 6 pm. To register for this free event or learn more about the Vein and Laser Center, call 573-331-3996.